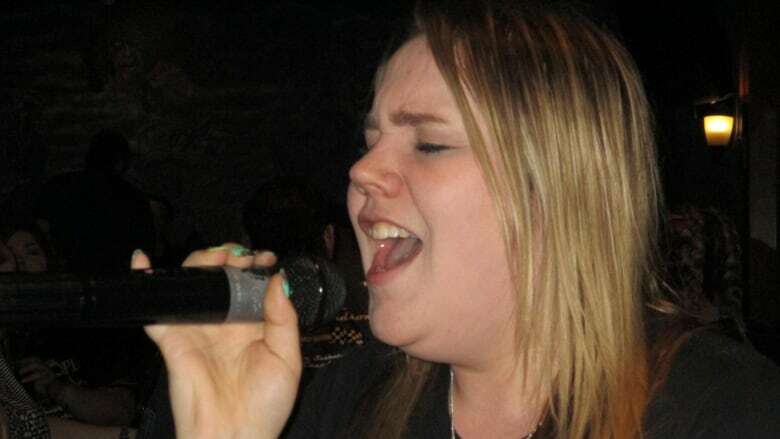 Erica King competes in the karaoke league at Crackers in Saskatoon and on Thursday, she'll be representing Saskatchewan at the National Karaoke World Championships in Calgary. Erica King says stepping up to the stage with a microphone in her hand is like stepping into a whole new world. 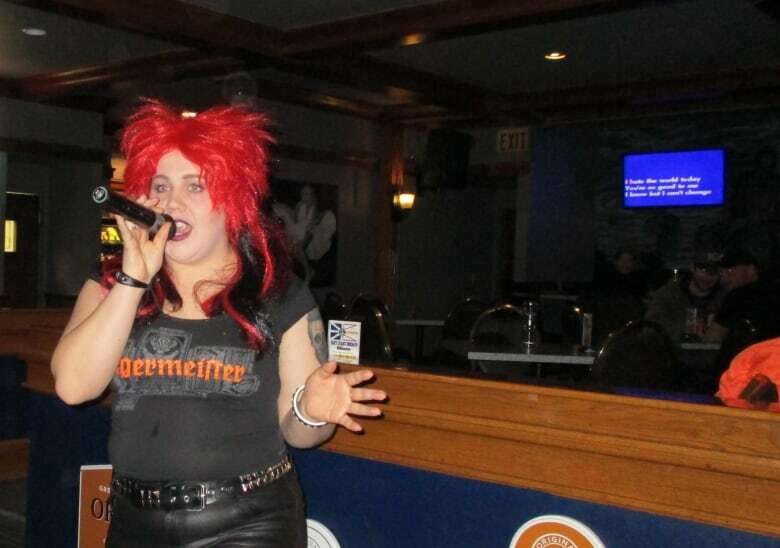 King competes in the karaoke league at Crackers in Saskatoon and on Thursday, she'll be representing Saskatchewan at the National Karaoke World Championships in Calgary. 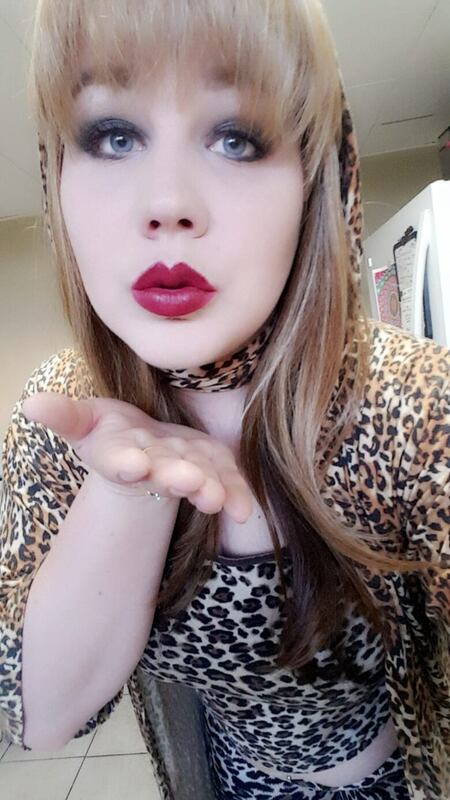 "If it wasn't for the people at Crackers, I wouldn't be making it to Calgary right now," she told CBC Radio One's Saskatoon Morning. King said the karaoke nights at Crackers are more than just people singing words off of a screen, it's a full-on performance with themes, costumes and props. For King, it's like a part-time job. She puts a lot of time into her performances. It's more than just the competitive aspect that sticks out for King — it's also the camaraderie. When the night of the show rolls around, everyone pulls up to the bar with luggage full of wigs and costumes for the show. "We're all sitting together because we're just like one big family and it's a really great environment," King said. She's excited for the Calgary competition but it was a qualifier on short notice. She only had a week's notice for the competition, and another couple of days to qualify. If she wins in Calgary, then she'll be eligible to compete in Finland. The league at Crackers runs about seven weeks, with each week having its own theme for the singers. Usually, they get several weeks notice ahead of time about what is expected of them. King said she hopes the competition will be a step toward performing with a band. At age 24, the last time she tried performing with a band, there was a generational age gap and it just wasn't a good fit. "I'd like to go somewhere with music someday. I feel talented," King chuckled.